The Level 5 Diploma in Computing (QCF) (L5DC) makes up the second year of the NCC Education degree journey and builds upon the knowledge gained during the NCC Education Level 4 Diploma in Computing. Exposing you to greater detail and more advanced topics in a range of areas including database development, information systems analysis, and network security and cryptography. You will study a balance of academic and vocational subjects in order to provide you with the necessary knowledge and skills to play a significant role in IT organisations. 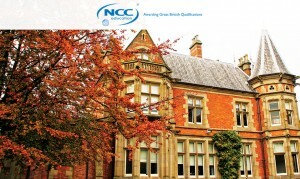 On successful completion of the qualification you will be able to complete the final year of a degree at one of the many universities that recognise NCC Education qualifications, or pursue a career in the IT industry.